﻿ FISH RIVER TREES | HOME OF "LIVING CHRISTMAS TREES"
Looking for a Christmas Tree that you don’t have to cut and won't die, that does not shed or dry out, that is safe, and that will live on well after the holidays? 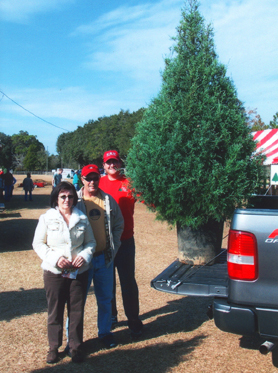 Don’t discard your Christmas Tree after the Holidays-Plant It! 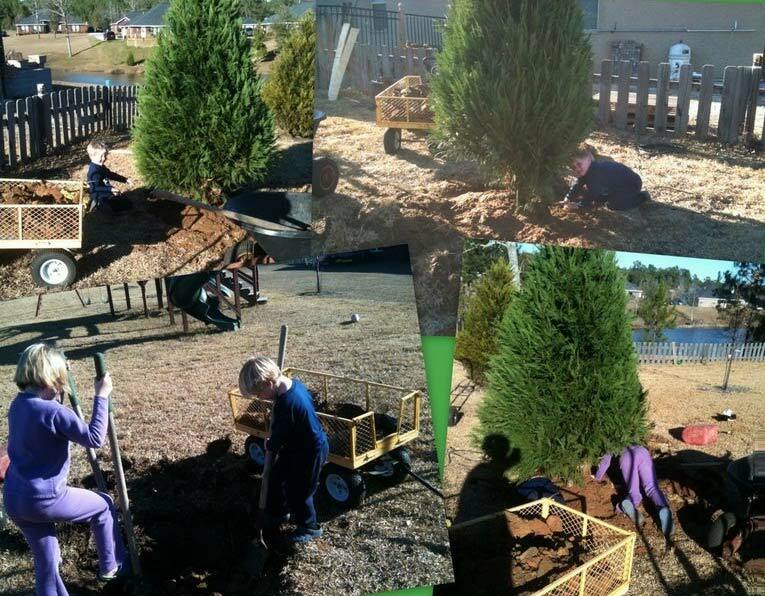 Planting the Family Living Christmas Tree! 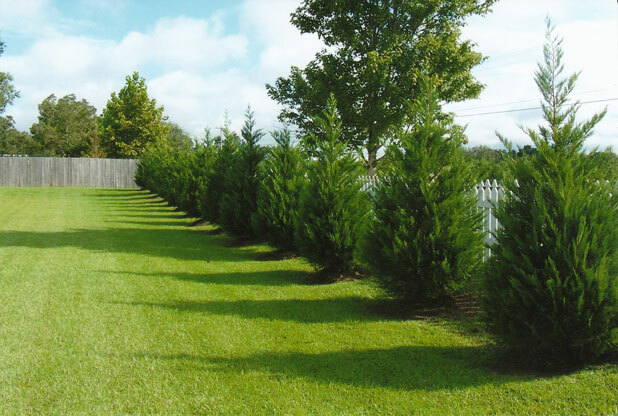 Our "Living Christmas Trees" provide excellent landscape material for single accent trees or for borders and privacy green fences. Save up to half the normal cost to create these gorgeous green privacy barriers by purchasing directly from the grower. 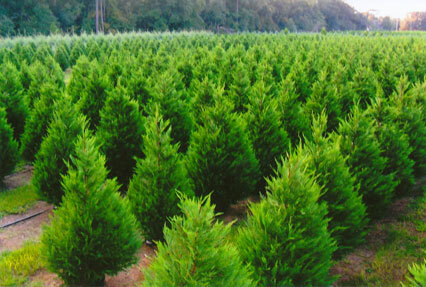 During the winter planting season, Fish River Trees can provide planting services at greatly reduced cost. Contact us for a quote. These lovely Leylands provide a beautiful accent to a white fence in a yard along HWY 181 in Fairhope.